Warm, hearty and just what the doctor calls for on a cozy winter’s day. 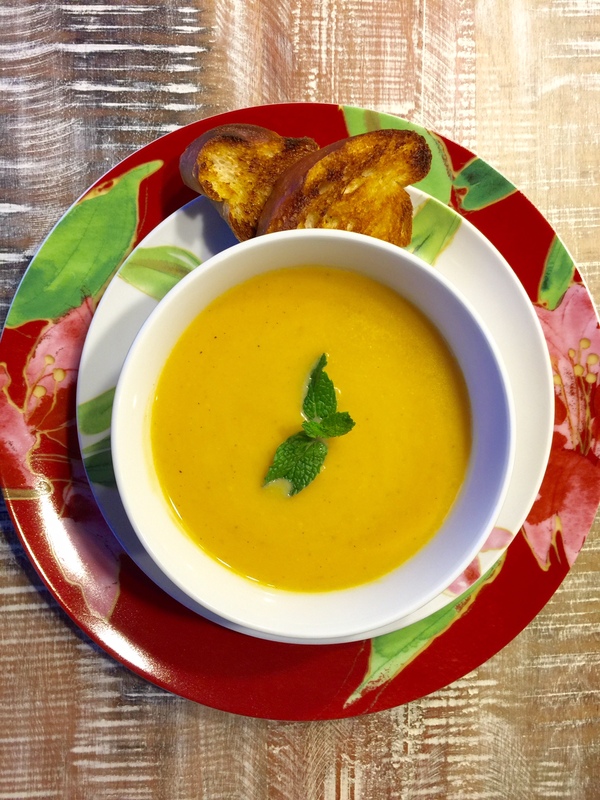 The combination of slightly sweet butternut squash and fiery roasted red pepper will have you begging for another bowl. 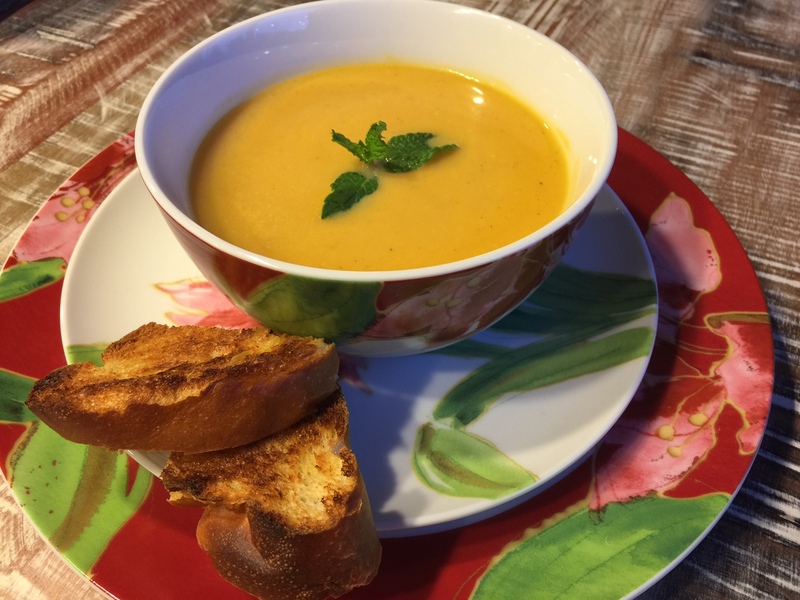 Don’t get your mouths water any longer & make this easy to prepare soup after a gluttonous holiday season. Place butternut squash on a baking sheet and rub with 2 teaspoons peanut oil, ½ teaspoon salt, and ¼ teaspoon pepper. Place in oven for 15 minutes. Meanwhile, prepare bell pepper by placing on a baking sheet and rub with 1 teaspoon peanut oil, and a dash of salt & pepper. Remove butternut squash from oven, and switch setting to ‘broil’. Place seasoned bell pepper in oven and broil for 5-10 minutes, taking care to watch closely until bell pepper has browned and blistered, but not burned. Remove bell pepper from oven & place in a covered container. This will allow the bell pepper to cool quickly so that it becomes easier to peel. Once cooled, peel skin, remove seeds, and cut into big chinks. Add butter and remaining tablespoon oil in a large pot over medium heat. Add coarsely chopped onion along with crushed garlic and cook for approximately 5 minutes, taking care not to burn garlic. Add butternut squash, ½ teaspoon of salt, ¼ teaspoon of pepper and turn frequently for 2 minutes. Add chicken broth, increase heat to medium-high, cover and let cook for 10 minutes. Decrease heat to low and let simmer for a final 5 minutes. Blend with immersion blender or if you desire a smoother consistency, use a classic blender until smooth consistency is achieved (approximately 1 minute). Finish off by adding milk or half & half. If soup is too thick, thin out with ½ cup of water at a time until desired consistency has been reached. Season with additional salt & pepper to taste if needed.